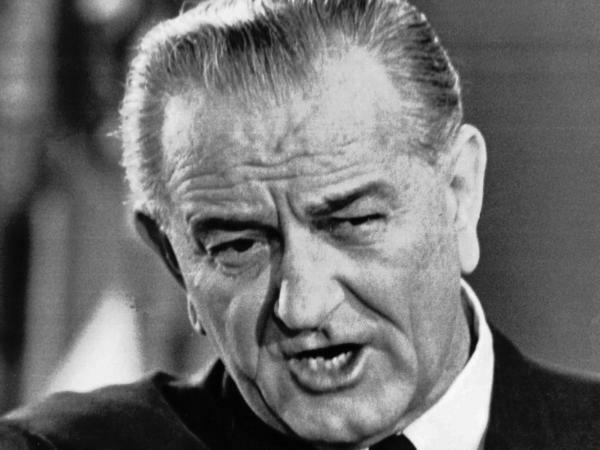 This is a Nov. 17, 1967 file photo of former president Lyndon B. Johnson. That year a commission Johnson had organized to come up with recommendations for how to win his "war on crime" issued their report. The legacy of some of those recommendations can be seen today. 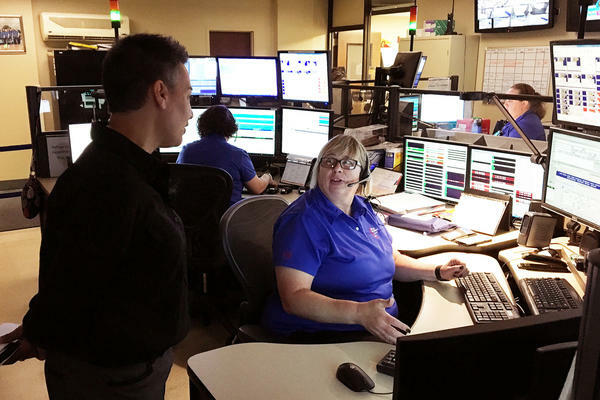 The Addison Consolidated Dispatch Center in Illinois is one of hundreds of 911 emergency call centers located across the country that are legacies of the 1967 Johnson Crime Commission. 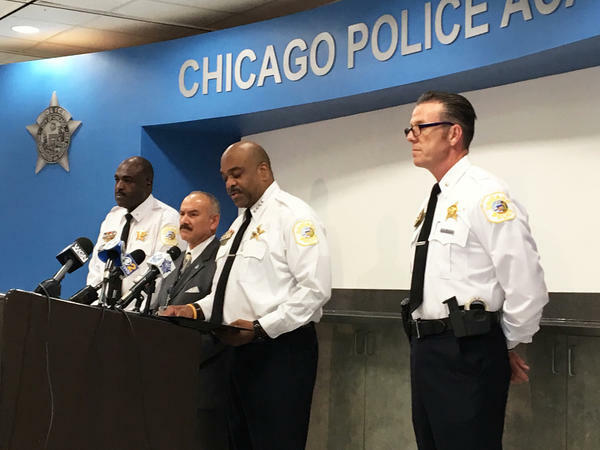 At the Chicago Police Department's Training Center, Superintendent Eddie Johnson and staff outline what's in store for new recruits as they get ready to begin their training regimen. Two years earlier, President Lyndon Johnson had appointed lawyers, educators, law enforcement officers, social workers and others – 19 members in all — to the group officially called the President's Commission on Law Enforcement and Administration of Justice. The 1960s was a turbulent decade, and crime had been a major concern. Johnson told the group he was spearheading a new "war on crime," and he wanted them to be revolutionary in their recommendations. Over 18 months, the Crime Commission, including 63 staffers and hundreds of consultants and advisers, collected data and studied everything from juvenile delinquency to organized crime. The final report, "The Challenge of Crime in a Free Society," called for sweeping changes in policing, the courts and corrections. President Johnson said it was "the most comprehensive and detailed program for meeting the challenge of crime ever proposed in this country." Carnegie Mellon Professor Alfred Blumstein, widely recognized now for his research on criminal justice and violence, was one of the original staff members of the Johnson Crime Commission. At the time, he didn't think of the report as a revolution, "but one thing that did come out of it was a movement toward thinking of the criminal justice system as a system," Blumstein says. As the Crime Commission's director of technology, Blumstein and his group developed a flowchart, often used in criminology text books, that provided a visual take on how the courts, police and corrections interact. 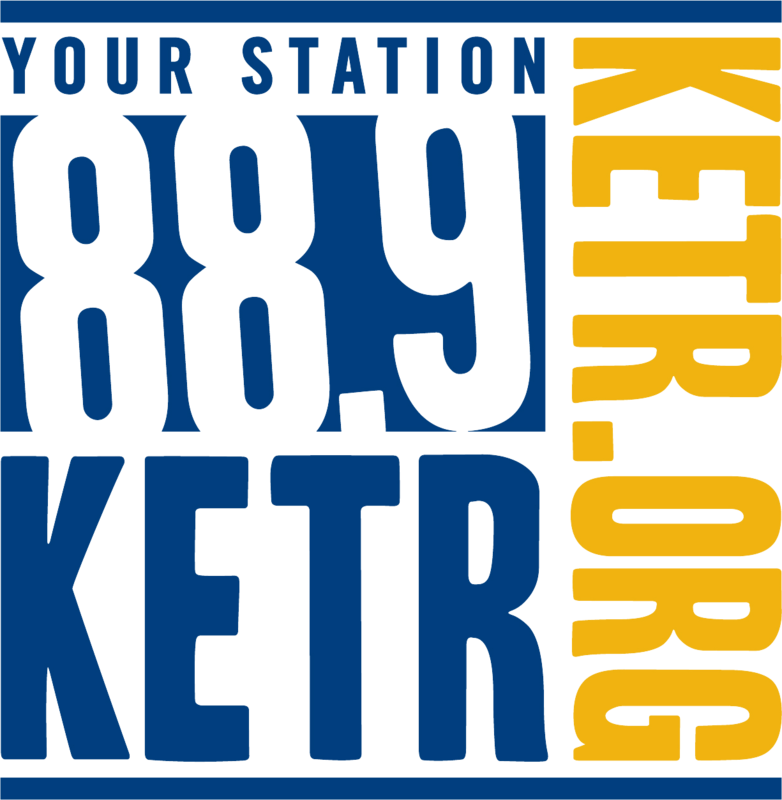 Sheldon Krantz was also on the commission staff. Now a visiting professor of Law at Georgetown University, he was assigned to work on the Commission's Police Task Force during a time when brutal police clashes with residents sometimes played out in full view during race riots across the country. "I think it's fair to say in the '60s, police in America were in a somewhat primitive state, there was limited training, a lack of education, a lack of diversity," Krantz says. The Commission concluded that to achieve more effective and fairer law enforcement, especially with the poor, minority groups and juveniles, there had to be a radical revision of police personnel practices. It also defined that the federal government's role in policing should be in providing grants to local and state law enforcement and developing community oriented policing that focused on police and residents working together to fight crime. Chicago Police Superintendent Eddie Johnson says that push for ongoing training for police departments is one of the legacies of the crime report. "We can always get better and be better," Johnson says. 1. The Commission said there was no reliable research about crime, so it collected data on an unprecedented scale. Legacy: The creation of the first national Crime Victimization Survey. Today, the Bureau of Justice Statistics samples households every year to collect information about crimes that are both reported and not reported to police. Legacy: Many police departments, especially in large cities, have training departments. Although, the Johnson Report focused on actions government could take, the Commission stated that controlling crime was the business of every American and American institution. It called for taking steps beyond cooperating with police or accepting jury duty and declared that citizens must respect the law, refuse to cut corners and reject the cynical argument that "anything goes as long as you don't get caught." Laurie Robinson, a co-chairperson of President Obama's White House Task Force on 21st century policing, says the Johnson Crime commission report was a guidepost for her group in a number of areas. "We looked at the Johnson's Commission work on technology and of course we zeroed in on areas like body-worn cameras." Now a criminologist at George Mason University, Robinson says the hallmark of the Johnson Crime Commission is that it spelled out new expectations for police, the courts, corrections and other players in the criminal justice system. She says that hadn't been done before on such a scale. "The Johnson Crime Commission is really the most influential study of crime justice that has ever been undertaken in the United States," Robinson says. Robinson and other legal scholars, including Krantz and Alfred Blumstein, will gather in a symposium in October to discuss the 50th anniversary of the "Challenge of Crime" report. There's also a bipartisan push in Congress to establish a new National Commission to, once again, review the country's criminal justice system from top to bottom.